Having years of experience in this domain, we bring to our nationwide buyers an efficient range of JIP32 : 32mm Cap. Pillar Drilling Machines. 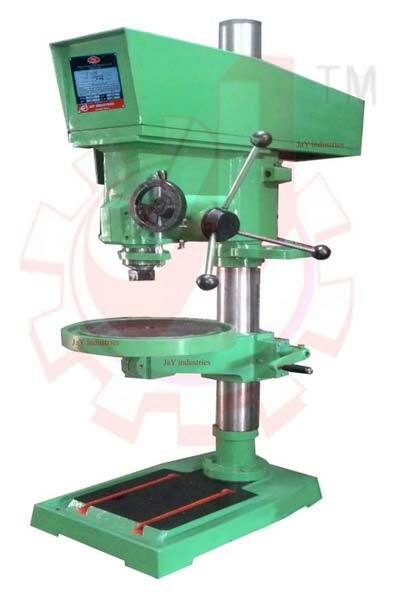 We are a trusted name, actively functioning as Manufacturer & Supplier of Pillar Drilling Machines in Gujarat, India. The complete product range is prepared under the vigilance of experts, thus durability and longevity are assured. Further, buyers can them in tailor-made specifications, from us. Drilling Cap. In M. S.